The prime minister’s top adviser on Aboriginal affairs has urged the government not to dump NATSHIP the National Aboriginal Torres Strait Islander Health Plan. 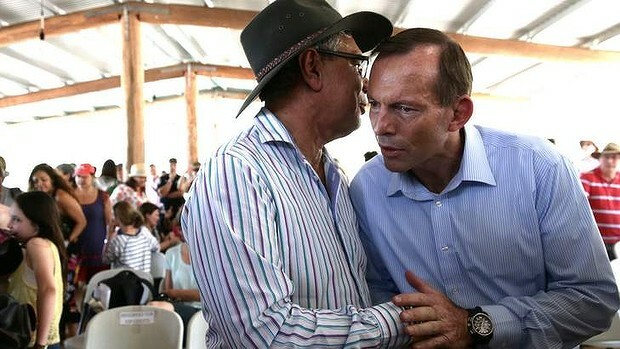 Warren Mundine, chair of the new Prime Minister’s Indigenous Advisory Council, said it was a good scheme. “The real issue is about actions and outcomes, that’s what we’ve got to focus on,” Mr Mundine said in Alice Springs, where he is talking to indigenous health organisations about the plan. He said he was comfortable with there being no specific indigenous health minister in the government. Indigenous health will remain within the Department of Health. The Office of Aboriginal and Torres Strait Islander Health will be replaced with the Indigenous Health Service Delivery Division, a leaked government statement says. Former indigenous health minister Warren Snowdon has raised concerns about the new Coalition government’s commitment to the national indigenous health plan, which was released in July. The Coalition then spokesperson Andrew Laming dismissed it as an exercise in political spin and lacking substance when it was unveiled.